The iPhone does not turn on: reasons and what to do about it? Why is the iPhone turned off and does not turn on? Many mobile phone owners sometimes face the problem of suddenly turning off their devices. Not bypassed this problem and Apple products. So, what to do when the iPhone does not turn on? In such a situation, it is recommended that you first connect the supplied charger to the phone. This will give the opportunity to find out the condition of the phone battery. 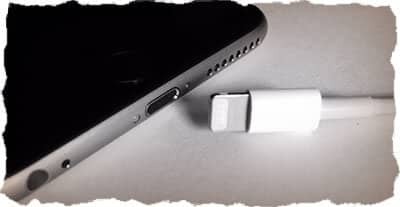 If the battery is in good condition, some time after being connected to the electrical grid, the iPhone will start charging, and the user will see the corresponding image on the screen. If the battery is low, you need to wait about 15 minutes and then try to turn on the phone by pressing the HOME button at the bottom of the device or the On / Off button. at the top of the machine. In the case when these actions do not give a result and the phone does not turn on, you should simultaneously press and hold both buttons: “HOME” and power. 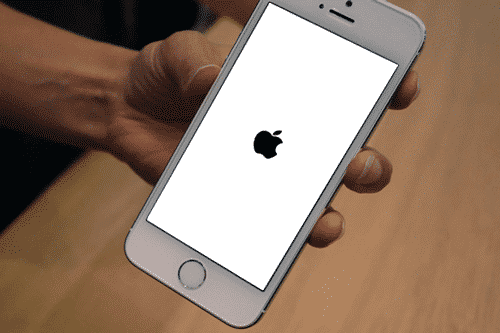 If the phone starts to boot, then the Apple logo in the form of an apple will appear on the screen. Then the buttons can be released. After that, the operating system of the device should be fully loaded. Otherwise, the logo will remain on the screen. In this situation, you can try to restart the phone again by first turning it off and then turning it on using both buttons. If such actions do not give any fruit, it is likely that the cause of the malfunction lies in something else. Why can not turn on the iPhone? What to do in this situation? One of the reasons that the iPhone does not turn on may be a failure of the charger connector. This often happens if you carry the phone in your trouser pocket and do not clean the case of the device. In this case, the charging slot can become clogged with dust and debris and stop functioning properly. In addition, it is not uncommon for the slot to attach a charger to break when you try to insert the plug in the wrong direction. In such situations, the best solution would be to contact a specialized organization, rather than do the repair yourself. Experts can clean the charging connector for an hour. It should be emphasized that often this socket fails with regular use of non-original chargers. The iPhone 4S or 5S may stop turning on due to improper use of the car charger. Such an application of charging can cause the phone battery to fail. In addition, improper charging of the iPhone 4S or 5S in the car often leads to a breakdown of the power controller. Repair of these elements of the phone is not easy and it can take up to two days. In any case, if the iPhone ceases to turn on after charging the device in the car, it must be carried to the service center. Independently solve this problem without special tools and skills will not work. Many iPhone users 4S / 4S are wondering why the phone sometimes turns off after trying to install new firmware on the device. Often, during this process, the phone is turned off and is no longer turned on in the traditional way. As a rule, there are two reasons for this behavior of the iPhone. Firstly, the GSM module chip called Nor Flash may fail. This element of the phone has an important function of setting up the device for SIM-cards of mobile operators. If the module fails during the firmware process, the phone will turn off and then, if turned on, will not be able to make voice calls. Secondly, NAND Flash chip failure can occur. This element of the phone serves to store all user information. It includes photos, videos, phone book entries, installed applications, and so on. It should be emphasized that the iPhone 4S and 5S does not have the function of installing an additional memory card in them. Therefore, if the NAND Flash fails or does not work correctly after the firmware, the phone will not turn on until the problem is fixed. It should be emphasized separately that there is no point in panicking in such situations. This problem is fixed by re-flashing the device. When falling from a considerable height onto a hard surface, the iPhone 4S / 5S may fail, turn off and no longer turn on. Why it happens? There are several common reasons for this device behavior. First, as a result of the fall of the phone, one or several loops could be disconnected. 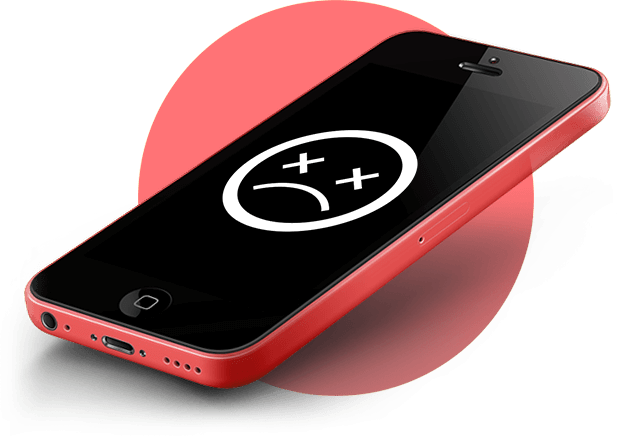 This leads to loss of performance of the battery, the screen, the on / off button and other mechanisms of the iPhone. With a very strong impact, the elements of the motherboard of the device can be damaged or the device chip breaks. In case of such damage, it is not recommended to try to disassemble the phone by yourself and identify the fault. It would be better to take it to the service center and entrust the repair of the device to professionals. If the 4S / 5S IPhone turned off and stopped turning on after being hit by rain, water probably got into it. In this case, just a couple of drops is enough for the device to temporarily fail. In this way, moisture can get in through the phone’s connectors. It is recommended to return for repair such devices to official service centers. Himself to do such work is inappropriate. Although, you can try to open the device yourself and let it dry properly. Be sure to disconnect the phone battery. You can dry your phone with a household hair dryer. With careful blowing and a sufficient amount of procedure time, there is a possibility that the phone will work again. Otherwise, it is not possible to identify the reason for iPhone’s refusal to switch on at home. Then you need to use the services of specialists in the service center. This behavior of the iPhone 4S / 5S means that there is a critical failure in the embedded software of the phone. The first thing that is recommended in this case is to try to force the device to reboot. If this does not help, you will need to perform a device recovery. To do this, it is not necessary to resort to the services of the service center. You can restore your iPhone 4S / 5S on your own at home. It is important to understand how the procedure for restoring an iOS operating system differs from updating. When updating, all data on the phone is saved, but when you restore photos, videos, phone book contacts, installed applications and other information are deleted from the device. If, however, the user is configured to restore the operating system and is ready to lose all data on the phone, you can proceed to the procedure itself. To implement it, you need the iTunes application. It is recommended to use the latest version of this program. In addition, you need to pre-download the latest firmware version for iPhone. Find such software can be on the official resources of Apple. In addition, you will need a personal computer or laptop, as well as a USB cable that comes with the phone. What to do? After the preparatory activities are completed, you must start connecting the installed iTunes program on your PC or laptop using a USB cable. Now it is necessary to choose from the list your device Iphone 4S / 5S. After that, you need to click the mouse over the “Restore” button while holding down the “Shift” key on the keyboard. In the appeared window you need to set the path to the firmware file with the extension IPSW. After clicking the "Open" button, the iOS recovery process will start. It will be incidentally to say that the flashing can be done in another scenario. First you need to transfer the phone to the "Recovery Mode". To do this, on the switched off device, press and hold the “Home” button until the corresponding image appears on the screen. After that, you should connect your iPhone to a PC or laptop. ITunes application after launching itself will offer to restore iOS on the device. Why is the tablet not charging? Appsgames⟾Miscellaneous⟾Why is the iPhone turned off and does not turn on?